THERE were a whole series of shock results in the Premier League in midweek but the biggest was Chelsea's. Man City losing at Newcastle and Liverpool being held by Leicester at home were surprises but Bournemouth 4, Chelsea 0 was stunning when you consider the size and resources of the respectable clubs. After the game Blues boss Maurizio Sarri questioned whether he could motivate the players and admitted they shouldn't be losing 4-0 to sides such as Bournemouth. That's a bit disrespectful to the Cherries who were outstanding and back into the top 10 as they try to clinch safety as fast as possible. 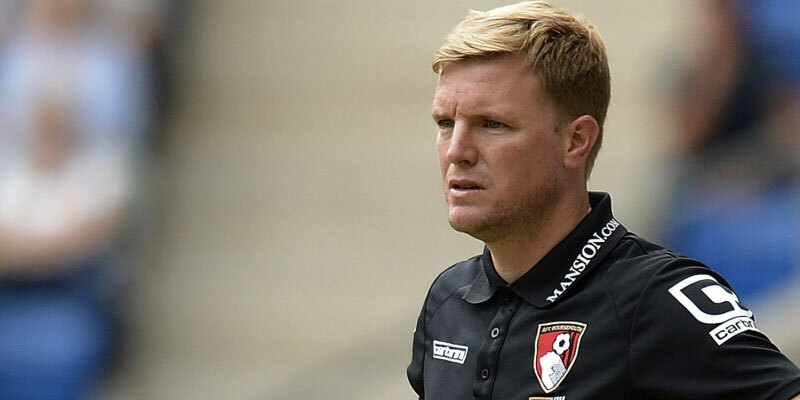 Eddie Howe's men have lost the injured Callum Wilson but Josh King is an able deputy and the likes of Ryan Fraser and David Brooks are all performing well. Brooks looks to have a great future and was man of the match v Chelsea but the Wales star is a doubt at Cardiff tonight so again best bet for a goal is King at 23-10 with Paddy Power. Bournemouth will be the visitors on a day where football plays a supporting role to tributes to tragic striker Emiliano Sala whose plane crashed on his way to join the club for his first training session. There were tears and cheers as Cardiff lost 2-1 to Arsenal at the Emirates on Tuesday and will want to put a performance tonight. Bournemouth's away form is poor – no wins since October – but they've two in a row without conceding and having crushed Chelsea I'm on them at 7-5 with Betfred. Sarri hasn't won a trophy in 30 years in managing and serious questions are being asked about his future. Luckily his side entertain basement boys Huddersfield and this has to be a home win at no bigger than 2-9. New boy Gonzalo Higuain struggled on his debut at the Vitality but he's a class act and I'm on the Spaniard to net his first for the club at 7-8 with Betway. Spurs took advantage of the top two slipping up hitting a last-gasp winner against Watford to closer the gap on City to two points. They are first up today with Newcastle the lunchtime visitors and it's asking a lot for Rafa Benitez's men to repeat their City heroics and record signing Miguel Almiron is ineligible. I'm on Spurs at 9-20 with Marathonbet and back Son Heung-Min to score first at 4-1 with boylesports. He looked sharp on his return from the Asian Cup and got his side back in the game against Watford. Elsewhere take Crystal Palace to beat Fulham at home at 21-20 with McBookie after the stunning capture of Chelsea striker Mitchy Batshuayi. The Belgian is 15-8 at Paddy Power to strike on his debut. Burnley have hit some good form and should beat a Southampton side still finding his feet under Ralph Hasenhuttl. The home win pays 8-5 at bet365. Man City and Man Utd are both in action tomorrow with the champions at home to Arsenal and Ole Gunnar Solskjaer's men at Leicester. Should both win but after the events of midweek I wouldn't bank on it with the double paying just 19-10. In the Championship best bets are Millwall at 4-6 with Ladbrokes at home to a Rotherham side that's lost seven out of eight. The Lions will be on a high after last week's FA Cup defeat of Everton. Sheffield United at home to troubled Bolton at 3-10 generally while there should be goals tonight when Leeds entertain Norwich. Steve Bruce is back in a job at Sheffield Wednesday and they're 17-10 with McBookie to win at basement boys Ipswich. Jack Ross did some good transfer business at Sunderland with Lewis Morgan from Celtic one of his captures. He also replaced top scorer Josh Maja, who joined Bordeaux, by paying around £4m for Will Grigg at the last minute. It's time for the Makems to push for the title and they should beat Wimbledon today at 8-13 with Betway. Bury, delighted at signing Rangers' Jordan Rossiter on loan, have hit 18 goals in five games and should easily see off Crawley at “fortress” Gigg Lane. Back them to win or even -1 at 13-10 with Ladbrokes.